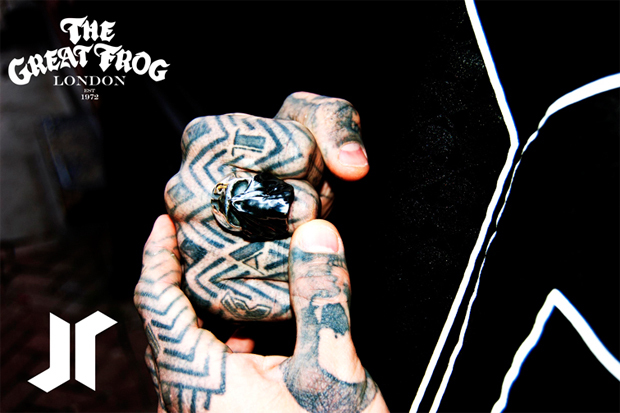 Famous for their skull rings, The Great Frog seem like a natural choice to collaborate with JR, given that many of their most popular designs have had skull based themes. 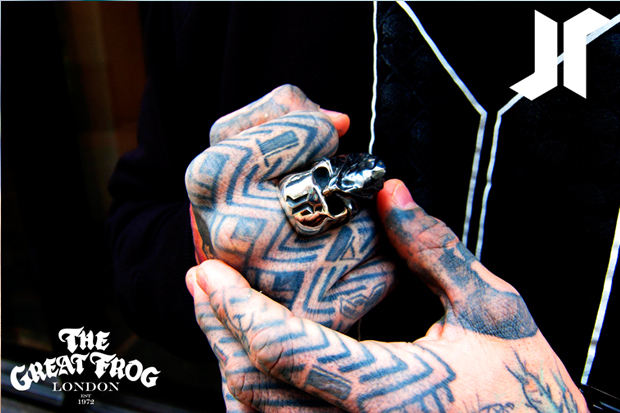 The Great Frog have made jewellery for some of the biggest names in rock music, as well as for many a blockbuster film, which speaks volumes about the quality of the pieces. 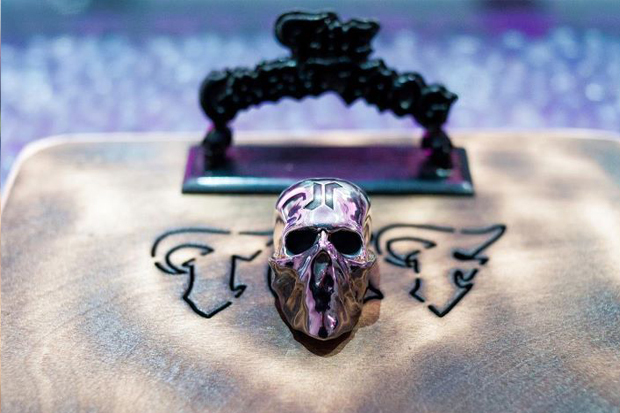 The rings themselves feature a bandana clad skull with the brand’s ‘JR’ logo on the head. 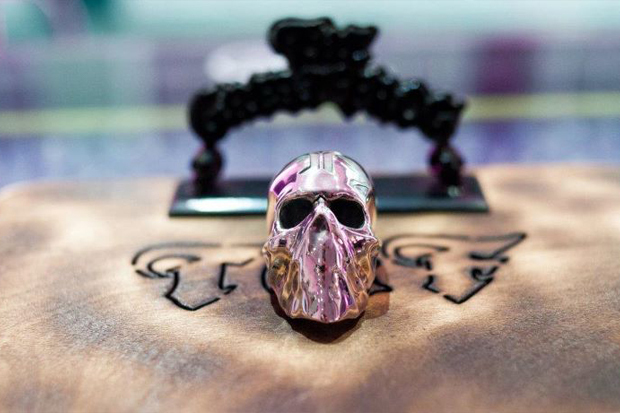 They’re a pretty substantial size and weight too, as can be seen in the pictures above and below, and are available in clear or blackened silver. 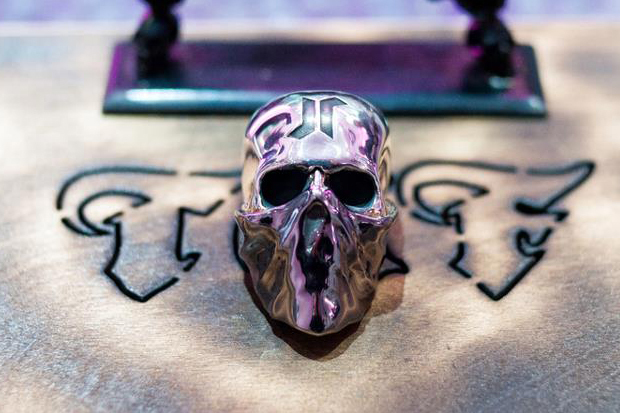 Both pieces are available now from The Candy Store.